Most people assume that DUI / DWI charges involve an impaired person driving a motor vehicle such as a car, motorcycle, truck or SUV. But what is the law with regard to non-motorized vehicles such as bicycles? Is there an offense such as biking while intoxicated? Laws concerning DUI (driving under the influence) and DWI (driving while intoxicated) vary between states. They may have DUI laws, DWI laws or both. And with regard to whether such charges apply to bicycles, it should not come as a surprise that there isn’t uniformity either. It is best to look at the current DUI / DWI law in your state since it may speak specifically on this issue of including or excluding bicycles. There is much debate on whether riding a bicycle while intoxicated is an issue important enough to merit policing. A bicycle doesn’t create nearly the same risk and severity of harm as a powered motor vehicle. And much of the time it is the drunk bicyclist who suffers the greatest injury. But it is not a stretch of the imagination to realize that this type of misconduct can cause car accidents and serious injury to others. Some states have specifically excluded bicycles from DUI / DWI law. Others will treat cyclists the same as any other motor vehicle driver on the road. In such cases, intoxicated riders may be charged with a DUI / DWI offense and will follow the same legal process as motor vehicle drivers. California Vehicle Code Section 21200.5 states that riding a bicycle under the influence of alcohol or drugs is unlawful. "...it is unlawful for any person to ride a bicycle upon a highway while under the influence of an alcoholic beverage or any drug, or under the combined influence of an alcoholic beverage and any drug. Any person arrested for a violation of this section may request to have a chemical test made of the person's blood, breath, or urine for the purpose of determining the alcoholic or drug content of that person's blood pursuant to Section 23612, and, if so requested, the arresting officer shall have the test performed." A conviction of V C Section 21200.5 is punishable by a fine of not more than $250. State DUI laws do not apply to bicycles. Arizona Transportation Law §28-812. Applicability of traffic laws to bicycle riders states that a bicycle rider is no different than the driver a motor vehicle, including DUI charges. In South Dakota SDCL § 32-23-22, the legislature specifically excluded from the law unpowered, foot pedaling devices such as bicycles and tricycles. The courts in the State of New Jersey are split on the matter of bicycling while intoxicated. They do seem to agree that should a defendant be convicted, there should be no loss of one’s driver’s license. How about drunken horseback riding? In Texas, two men were charged with a DWI for riding a horse while intoxicated. A man was also arrested in Colorado for riding a horse while drunk, while on his way to his brother’s wedding in Utah. What about motor vehicles such as mini-bikes, go-carts, mowers and golf cars that are not intended to be used on the roadways and don’t require a license to operate? State laws will vary and some carve out exceptions for these types of vehicles or make reference to inclusion. 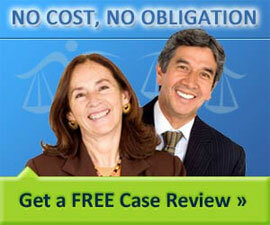 In the event you are unable to determine the law for yourself, experienced DUI / DWI lawyers should be able to help. This topic should be familiar to them as it relates directly to the nature of their legal practice. Custody cases involving Driving under the Influence (DUI) are quite complicated due to the severity and emphasis which a court may place on DUI charges. An important list of questions you should ask a DUI/DWI attorney before you consider retaining them to determine costs, experience and competence. Open container laws vary by state and can affect both passenger and the driver. Learn about drinking driving, parked, transporting containers and empty cans and bottles. A list of the most popular ways police officers spot drunk drivers with the naked eye, divided into four major categories of driver errors. Answers to drunk driving & DUI/DWI issues. Conviction requirements, right to refuse testing, rights if pulled over / roadblocks, right to a lawyer and general DUI/DWI matters.